Once opened, we can't close the case. The product picture is for reference only. ETA 3 to 6 weeks. Send product. Product specification. National Tariff Issues. The Intel Xeon E5-2697 v2 Processor is engineered to deliver performance and power efficiency. This 12-core processor has a clock speed of 2.7 GHz. For quick access to frequently used data, it is equipped with a 30 MB SmartCache. In addition, this Intel processor supports the FCLGA2011 socket. Excellent CPU Upgrade for Mac Pro for the money. I upgraded my late 2013 Mac Pro cylinder with this, took a few hours and was worth it. Also upgraded to 64gb of memory. And upgraded to 1tb pcie nvme blade Also just upgraded to macOS Mojave, and this feels like a brand new machine. I'm Very Pleased with this purchase. 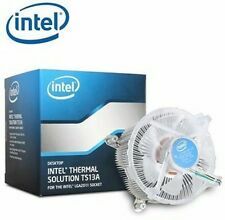 Bought this mostly to future-proof my PC and to boost performance as I run VM's at the same time. 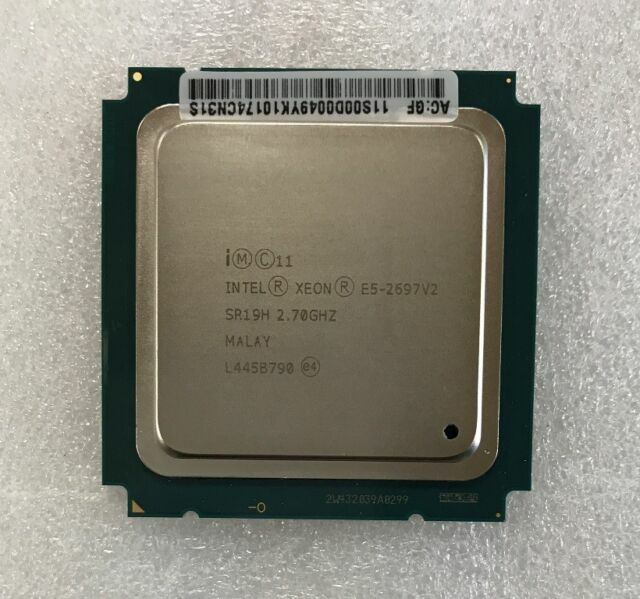 First CPU I have bought 2nd-hand so was a bit sceptical at first. However after a month it is still running very well with excellent multi-core performance. Package also arrived promptly and was well protected. Best upgrade out there for the Mac Pro 6.1, crazy fast and easy installation.